Gold is routinely and proudly declared a safe haven. But it hasnt been very safe in 2015, despite problems in Greece and elsewhere, DeLegge writes. Gold price moves are not helping investors. Gold is routinely and proudly declared a “safe haven.” But it hasn’t been very safe in 2015. While mainland Chinese stocks (ASHR), also known as A-shares, have crashed around 20% from their peak and Greece’s perilous economic collapse is jolting global financial markets, gold has lost almost 1.5% over the past month. 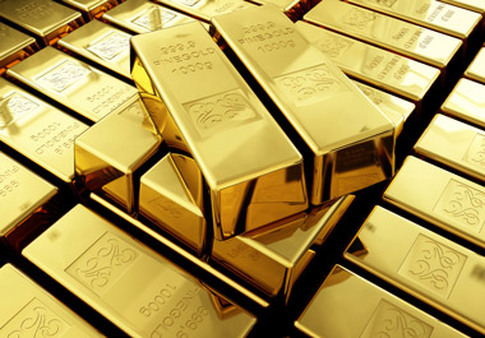 It’s during times of economic instability when gold’s performance is expected to shine. But as Asia and Europe’s problems fester, it’s done little to lift gold prices. From a purely technical angle, the price action in gold doesn’t look very bullish. In May, the SPDR Gold Trust (GLD) fell below both its 50- and 200-day moving average. This is a definite sign of weakness, and it also means that gold prices are still searching for a bottom. After two consecutive years of net selling, the World Gold Council reported a modest uptick in asset flows into gold ETFs during the first quarter to 25.7 million tons. The two largest U.S. listed gold ETFs by assets are the SPDR Gold Trust with $26.89 billion and the iShares Gold Trust (IAU) with $6.34 billion. Both funds own physical gold bullion which is stored in secure vaults. Late last year, GLD hit a closing low of $109.79 on Nov. 5 and any breach below this supporting level could spell more downside ahead for gold. Gold’s allure and alleged safety has been promoted by both cable network doomsayers and the myth that central bank monetary stimulus is good for gold prices. During the Federal Reserve’s first round of quantitative easing (QE1), which began in late 2008 and lasted until March 2010, GLD rose 35.66% while the SPDR S&P 500 ETF (SPY) gained 34.51%. Not only was gold’s margin of outperformance over U.S. stocks slim, but gold’s performance significantly deteriorated with each successive round of QE. For example, during QE2, GLD rose just 10.2% and during QE3 it fell 32.91%, virtually wiping out all its gains from QE1. A big problem for investors that bought gold at much higher prices is they aren’t collecting any income because gold pays no dividend. Additionally, if they own physical gold, the cost of storage and insurance further erodes investment returns. Since hitting a peak price of $1,888 per ounce in August 2011, gold prices have crashed 37%. That puts gold deep into bear market territory and well past the 20% threshold from peak to fall that defines a bear. Other gold focused investments like the Market Vectors Gold Miners ETF (GDX), which tracks mining stocks, have lost around 70% in value and are even worse performers. If lower prices are ahead for precious metals, it should mean healthy gains for ETFs that are inversely correlated. The ProShares UltraShort Gold ETF (GLL) aims for double daily opposite performance to gold bullion while the Direxion Daily Gold Miners Bear 3x (DUST) aims for triple daily opposite performance to mining stocks. Over the past month alone, DUST has jumped around 30% while GLL is ahead by around 2%. Unless gold can snap its four-year funk, it will continue to be dead money. — Check out S&P 500’s Winning Streak Tops 1,370 Days on ThinkAdvisor.